The bestselling author of Remembering Wholeness visits with her latest, a guide to creating a life you love. Imagine how rich life would be if you felt mentally clear, emotionally balanced, and spiritually inspired every day. How much good could you do if your body always felt strong? Where would you travel or who would you help if you had plenty of money? How grounded would you be if you had a conflict-free partner relationship that nourished you? 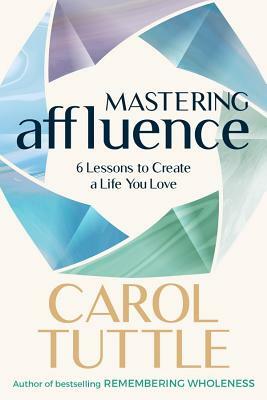 Carol Tuttle has found that a truly affluent life is rich in six areas: spiritual, mental, emotional, physical, financial, and in relationships. In her newest book, Mastering Affluence, she guides readers through six simple lessons (one for each area) to clear away longstanding patterns of struggle and replace them with ease and joy. CAROL TUTTLE is a teacher, speaker, gifted healer, best-selling author of five books, and pioneer in the field of personal development. For over 25 years, she has supported hundreds of thousands worldwide with her life-changing books and online learning programs. Her first two books, The Path to Wholeness and Remembering Wholeness, promote personal growth by teaching empowering energy healing methods. In her energy healing work, Carol observed that people express different energies and natural movements. She developed a program called Energy Profiling that helps people identify and honor their true natures, strengths, and gifts. Her book, It's Just My Nature, explains this program in depth. Applying her Energy Profiling model to beauty and fashion, Carol created an online makeover program called Dressing Your Truth. Women from over 120 countries around the world have become students of this program. Carol Tuttle then applied Energy Profiling to the world of parenting. Her best-selling book, The Child Whisperer, turns longstanding parenting assumptions on their heads and shows how parenting can be a more intuitive, cooperative, fulfilling experience. 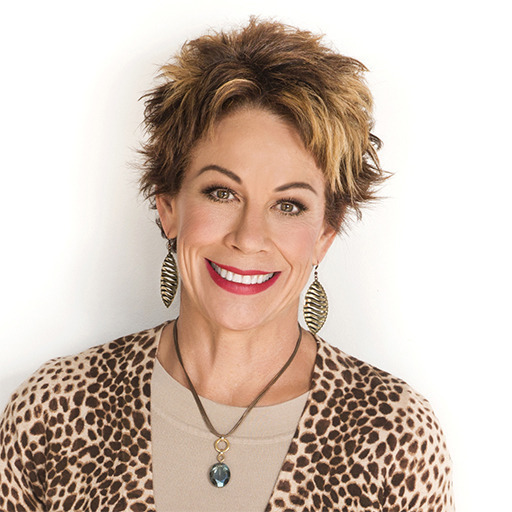 Carol helps her readers, fans, and clients improve every aspect of their lives--from money, to health, relationships, fashion, parenting, to overall emotional well-being. She has affected millions of people's lives through her websites and social media channels. Carol is the mother of five grown children. She and Jonathan, her husband of 38 years, reside in Utah. Carol enjoys the outdoors through hiking, mountain biking, and travel. She is a great cook and loves keeping up with bio-hacking trends to keep herself fit and healthy. Her favorite place in the world, besides home, is the North Shore of Oahu.